ROPLANT is the Water Industry Network website. Sewage treatment is the process of removing contaminants from wastewater and household sewage, both runoff (effluents), domestic, commercial and institutional. It includes physical, chemical, and biological processes to remove physical, chemical and biological contaminants. Its objective is to produce an environmentally safe fluid waste stream (or treated effluent) and a solid waste (or treated sludge) suitable for disposal or reuse (usually as farm fertilizer). 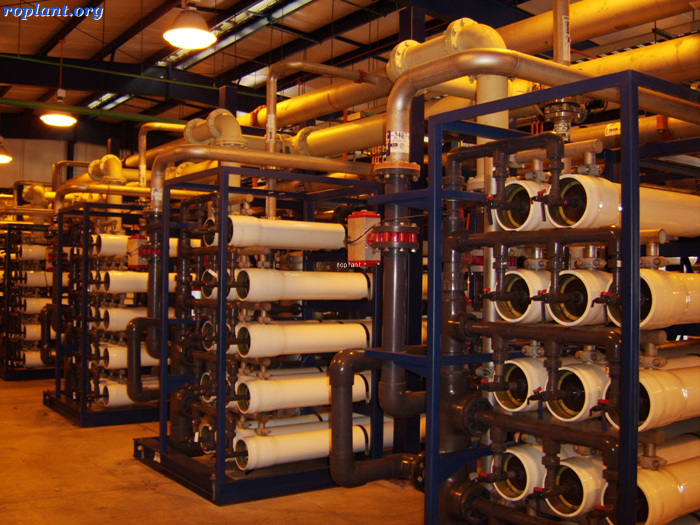 Using advanced technology it is now possible to re-use sewage effluent for drinking water, although Singapore is the only country to implement such technology on a production scale in its production of NEWater. 1) Pretreatment : Pretreatment removes materials that can be easily collected from the raw sewage before they damage or clog the pumps and sewage lines of primary treatment clarifiers (trash, tree limbs, leaves, branches etc.). 2) Primary treatment : In the primary sedimentation stage, sewage flows through large tanks, commonly called "pre-settling basins", "primary sedimentation tanks" or "primary clarifiers". The tanks are used to settle sludge while grease and oils rise to the surface and are skimmed off. Primary settling tanks are usually equipped with mechanically driven scrapers that continually drive the collected sludge towards a hopper in the base of the tank where it is pumped to sludge treatment facilities. Grease and oil from the floating material can sometimes be recovered for saponification. 3) Secondary treatment : Secondary treatment is designed to substantially degrade the biological content of the sewage which are derived from human waste, food waste, soaps and detergent. 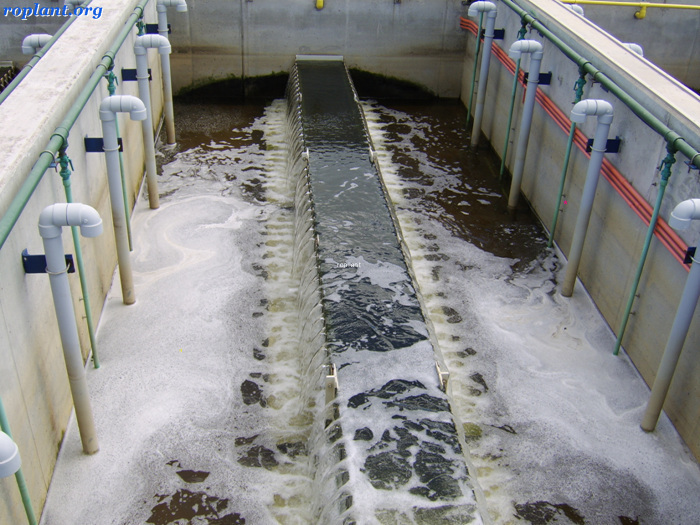 The majority of municipal plants treat the settled sewage liquor using aerobic biological processes. To be effective, the biota require both oxygen and food to live. The bacteria and protozoa consume biodegradable soluble organic contaminants (e.g. sugars, fats, organic short-chain carbon molecules, etc.) and bind much of the less soluble fractions into floc. Secondary treatment systems are classified as fixed-film or suspended-growth systems. 4) Tertiary treatment (Advanced) : The purpose of tertiary treatment is to provide a final treatment stage to further improve the effluent quality before it is discharged to the receiving environment (sea, river, lake, ground, etc.). 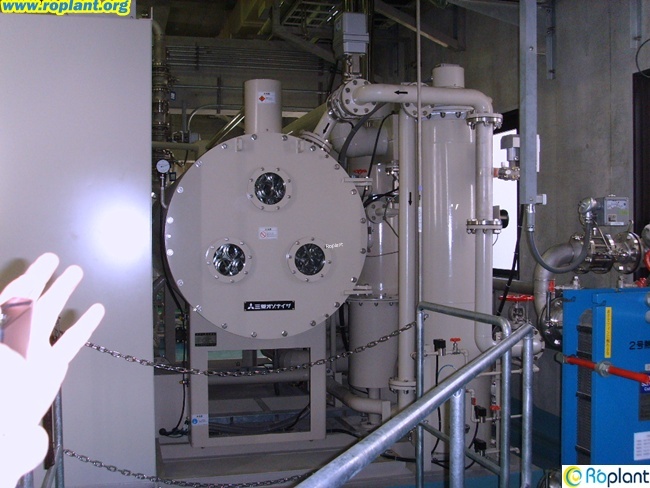 More than one tertiary treatment process may be used at any treatment plant. If disinfection is practiced, it is always the final process. It is also called "effluent polishing." 5) Disinfection : The purpose of disinfection in the treatment of waste water is to substantially reduce the number of microorganisms in the water to be discharged back into the environment for the later use of drinking, bathing, irrigation, etc. The effectiveness of disinfection depends on the quality of the water being treated (e.g., cloudiness, pH, etc. ), the type of disinfection being used, the disinfectant dosage (concentration and time), and other environmental variables. 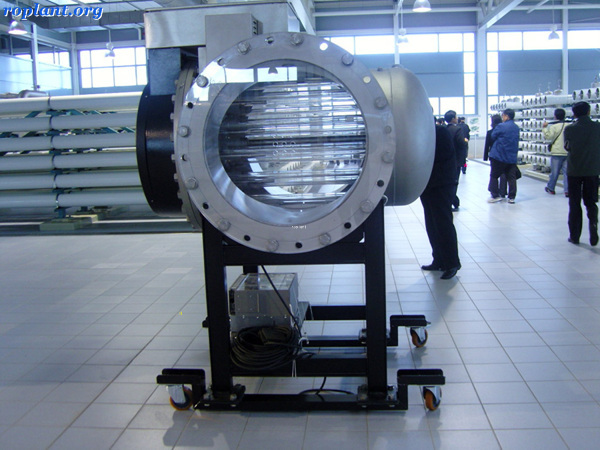 Cloudy water will be treated less successfully, since solid matter can shield organisms, especially from ultraviolet light or if contact times are low. Generally, short contact times, low doses and high flows all militate against effective disinfection. Common methods of disinfection include ozone, chlorine, ultraviolet light, or sodium hypochlorite. Chloramine, which is used for drinking water, is not used in the treatment of waste water because of its persistence. After multiple steps of disinfection, the treated water is ready to be released back into the water cycle by means of the nearest body of water or agriculture. Afterwards, the water can be transferred to reserves for everyday human uses.